Stop Doing These 5 Things! 1. Stop Dieting. Instead, edit the letters of that word….and EDIT what you eat…see what I did there? Editing what you eat will have a much more positive effect. Focus on shopping the perimeter of the grocery store and eat through that colorful rainbow of foods! You should be spending the majority of your time in the produce section! 2. Stop moving so fast! Literally, slow down everything. a. If you are coming in hot every time you go to the gym, you are most likely doing more bad than good. Slow down your fitness routine for better and long lasting results. b. If you are guzzling water, you are doing it wrong. It will all be expelled as urine and you will NOT be hydrating yourself. Sip your water slower…throughout the entire day! c. If when you are eating, you appear like you are in a timed event you are trying to win, you’re doing it wrong. Eat slower. Enjoy the taste! You will feel fuller sooner! Shoveling food in quickly will just make you eat more than you should be. 3. Stop putting yourself on the bottom of the list. Make you a priority. You would not no-show on your boss and you wouldn’t skip your kid’s doctor’s appointment. Geeze half of us wouldn’t even dare miss our favorite show. Move your goals to the top of the list. Schedule your workout, stop and track your food intake, sit and make the meal plan for the week. All of these will help you to put you first. It’s not being selfish, it’s being smart! 4. Stop the madness! (The morning madness that is!) Plan your schedule the night before! Freeze a smoothie for a grab and go breakfast that is jam-packed with nutrients. Schedule (like actually put it in your schedule) what your fitness plan will be. If you are running crazy in the morning, it sets the tone for the rest of the day and the chaos will spill over to each part of the day. 5. Stop comparing. If you are sitting down scrolling through Instagram fitness models…that will most likely do the opposite of motivation. It’s happening and you don’t even realize it…you are SITTING! If you MUST check in on who you are following, do it during your workout! Don’t compare yourself to others, compare yourself to a better version of YOU. Most mothers I know (myself included) run around like maniacs from sun up til’ sundown. In my case, it’s from son up til’ son down (see what I did there?)! The hours somehow form full days and the days mesh together to somehow form a full week. Come Sunday night, there I am rummaging through my cabinets to form some type of semblance of a thought-out healthy school lunch. If there is nothing there, then off I go to the grocery store while the kids take a bath to wash off the neighborhood playdates and mud making escapades. Yes, it’s a thing. I should mention that during said bath, they are simultaneously having competitive soaking contests with dear old Dad. If you know my husband, you know he MUST win so this is a high-level soaking contest leaving the bathroom looking like a sunken ship. Oh, and in case you were wondering (my 4 bestie mom friends know what I’m about to say here) that bathroom mess is totally mine when I get home. Side note, if you don’t have a group text going with multiple commiserating moms, get one….it’s pure sanity and comic relief! The activities we spend planning for our kids are endless. My list currently includes pee wee soccer, baseball practice, ninja warrior classes (x2), drum lessons, karate, swim lessons, baseball games, and lacrosse. Add in bike riding, skate parks, neighborhood walks, and playdates and that about sums it up. All of this activity is exhausting! BUT….look who the activity is for; we do it all for our kids. We do this so our kids are active and healthy but while my kids are being this active, I am SITTING there watching. SITTING! Sitting is the new smoking!!! So my plea to mothers out there who have the brains that never stop turning, the schedules that are never ending, who work full time, who need 5 minutes of recovery while the croup cough settles, who need to get another load of diaper explosion laundry done, who need to attend another PTO event, who need to find your checkbook to write that aftercare check because online payments are not accepted, who are in the middle of moving with 2 small children, who are trying to facilitate a new career while raising 3 kids, who are trying to run a business and figure out what allergy your kid is having, and most of all, to all of the mothers who completely followed this ridiculous run on sentence because that’s just how our brains work; my plea to you is to take care of you! If you don’t take care of you, you cannot take care of the people in this world who you love so much it physically hurts: your kids. Someone said something to me this week. She saw my proverbial candle being burned at both ends. She saw a look in my eye that only a mother would recognize. She said, “Sometimes you need to vote for Sarah.” I knew exactly what she meant, and that’s what I’m doing. Happy Mother’s day to all the mommas out there and vote for YOU! What is H.I.I.T and Is It for Me? H.I.I.T. seems to be quite the buzzword these days, and it certainly should be. H.I.I.T. (High-intensity interval training) is a fast paced routine that alternates between short bursts of intense exercise followed by strategic rest periods. The idea is to push your body to the max, let it recover, then blast it again! The cycle typically repeats itself for varying times for a total of 20-30 minutes. This results in dramatic reductions in fat, improved cardiovascular and respiratory health and according to recent studies it can control your glucose! The answer seems clear but what isn’t clear these days is who it’s for. We hear the word “high intensity” and most people shy away. What you need to remember is that everyone’s level of high intensity is different. You are trying to push YOUR limits for results, not someone else’s. AARP recently reported on a study comparing a strenuous HIIT style routine vs. a more steady style exercise routine with 2 groups of men and women – younger than 30 and older than 65. The result of both exercise programs showed an improvement of overall fitness, increased strength, lower fat, and increased insulin sensitivity (lowers the risk of developing diabetes). The most interesting part of the study however, showed that the HIIT routine had the most benefits in reversing signs of aging within cells. The over 65 group had a whopping 69% increase in the cells ability to take in oxygen and produce energy, while the under-30 group yielded a 49% boost. The researchers noted that the HIIT group registered larger cellular changes in mitochondria and ribosomes, which are extremely important for maintaining healthy cell function and also tend to deteriorate with age. HIIT is literally the fountain of youth! As always, remember to go at your own pace and most importantly, listen to your body. If something doesn’t feel quite right, its most likely not the right thing for you to be doing! Visit our website to find H.I.I.T. classes offered at Dedham Health and other health opportunities! Recently I was asked, “How would you describe yourself?” I blurted out the standard answers such as kind, happy, funny, light hearted, a good friend, etc. It’s not to say that these are fake answers, but what I really wanted to say was, “I’m an overtired full-time working mother of two who is rounding the corner to 40.” But I kept that thought to myself. The truth is, we shouldn’t keep these thoughts to ourselves. I guess by me stating this in a blog for the world to read, I’m not keeping my secret anymore! It’s totally normal to be tired, overwhelmed, and feel older than you should. However, it isn’t something you should accept. Let’s do an exercise, take a minute to think of how you would describe yourself to someone. Now think the real answers in your head. Are they different? If so, then THOSE are the ones you should focus on because once they turn around to positive feelings then you and your body WILL benefit. I took my negative answers about myself and broke them down to see how I could address them for a little self-preservation. 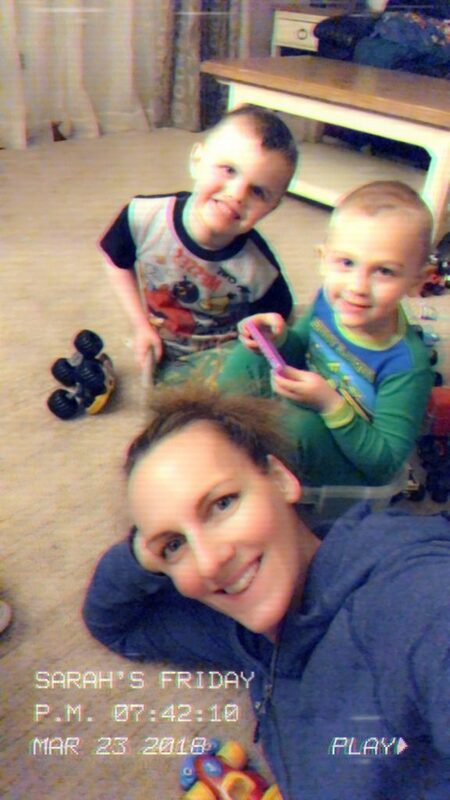 Overtired – This one is tough with two little boys who think sleep is optional but I’m making every effort to keep them and myself active after school and work. We bundle up for outside play until it is dark, play games and do homework after dinner, and after all of that, everyone is ready for bed a bit earlier. Baby steps for this one! Full-time working – Tough to change this because like everyone else, I have bills to pay and mouths to feed. The trick for me is to make lists when I get to work of priority items, leave a wiggle room for unexpected tasks, and leave with a sense of completion, not frustration. 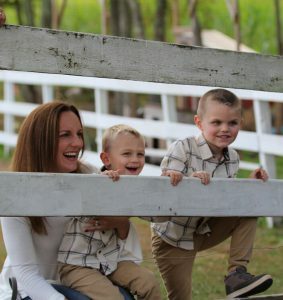 Mother of two – I am a true #boymom. These two keep me on my toes cleaning up messes, breaking up fights, and playing sports until dark. As tired as they make me feel, they also make me feel like a kid again! Feeling like a kid is the true fountain of youth. Make your list, and turn your negatives into positives! We only have this one life, make it a good one! 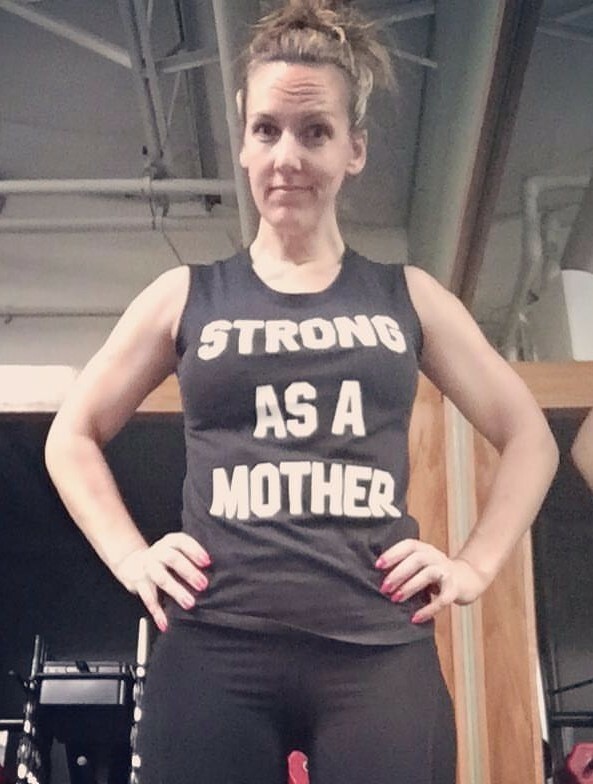 Make this Mother’s Day ALL About You! Wait, DAY? I mean ONE day? No, but in all honestly I think we should start a campaign to celebrate Mother’s Day on a monthly basis. It’s not like we’d be able to take a monthly vacation to celebrate it because well, life, but it would give us 12 chances a year that the day might involve a little peace and quiet, alone time; a massage or pedicure, extra sleep and, sure, throw in the obligatory flowers on the table! This year my Mother’s Day celebration will entail two kids waking up at the crack of dawn, rushing through breakfast with one shoe on and the other missing, most likely an argument over a toy that no one has used in 6 months but now it’s the “MUST HAVE” of the day, sneaking in late to karate classes followed by swim lessons (insert Mommy teaching a yoga class, which IS my alone time!) and then heading out to a bowling birthday party! These are all things I LOVE doing with and for my kids but at no point is the day about me. And then all of a sudden, it’s Monday… sigh. Books and bedtime with my boys because after all of the time alone, I’ll without a doubt be lonely without them. Funny how that works. Happy Mother’s Day and hat’s off to all those mamas out there. Be selfish…. you literally deserve it! 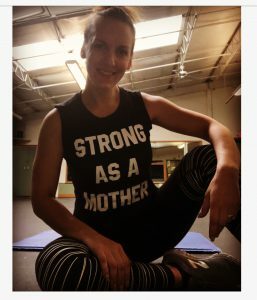 – Sarah C., Assistant Fitness Director and MOM!